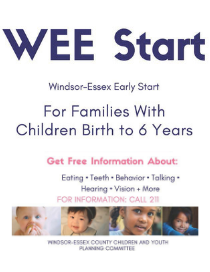 WEE Start is an event for families with children from birth to 6 years old to attend and obtain free information about eating, teeth, behaviour, talking, hearing, vision and more! Join us at W.F. Herman Academy on Friday, March 22 from 10:30 a.m. to 1:00 p.m.